Shutterstock , one of the top microstock agencies in the industry, has brought their latest reverse image search functionality to their iOS platform. 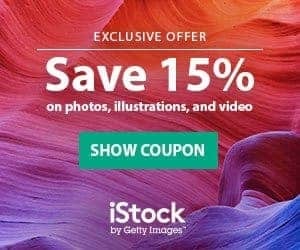 The computer vision technology analyses the content of the images and finds the best matches in Shutterstock's collection of over 80 Million images, helping you find the photos you need quicker and simpler, just by uploading sample photos from your mobile device. This makes Shutterstock the first company in bringing machine learning technology to mobile space. This is the same technology that runs the new image search and discovery tool launched on their website earlier in March. Want to know more about Shutterstock? Read our full review here. Find everything you need to know about Shutterstock pricing here. How Can I Use Reverse Image Search in my iOS Mobile? It's rather simple. 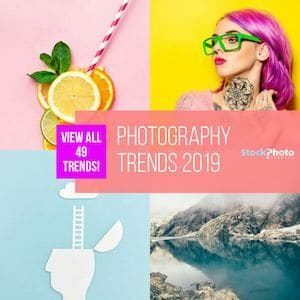 Using the reverse image search tool on Shutterstock's iOS app, you can either snap a photo with your phone, select it from your camera roll, or even from a connected cloud service, and upload it to their platform. The system then applies computer vision to analyse all the visual and conceptual components of your image, and delivers matching results from Shutterstock's collection of over 80 Million Royalty-Free images. This technology does not use metadata embedded in images (like the title and description, and the keywords), but the pixel data from the photo itself, to find matching results. This way you can search and discover lots of high quality stock images based in scenes you're seeing or have seen, without needing to enter keywords to describe them. Buying stock photos from your mobile is now much easier and faster done! Shutterstock's neural networks will continue to improve and deliver better results as more customers use the service. Their marchine learning algorithms inspect every photo you upload to make a search, so with time it will learn which are the most popular images to use in mobile platforms and will be able to tell which are the most suitable results for each search.